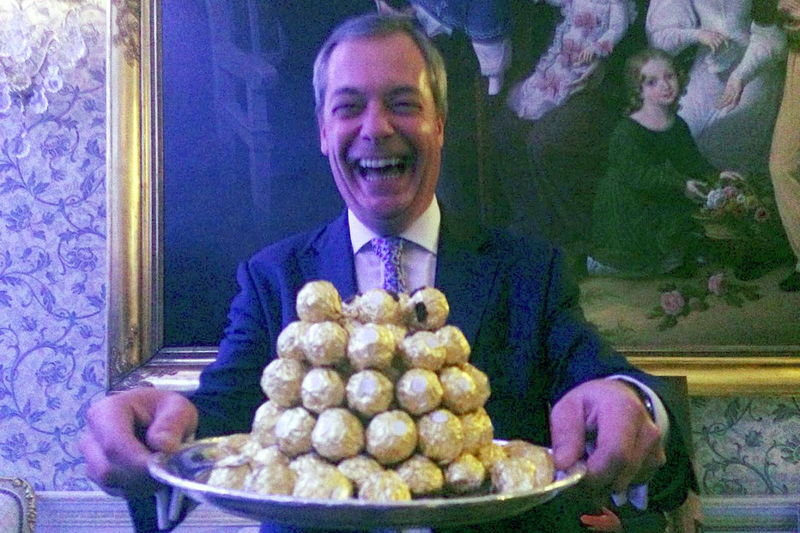 Lord Farage of Dimbledum reveals the EU’s new golden eggs after it slaughtered its British goose. “Ze Ambassador is spoiling us”, (for those of us old enough to remember the original advert. ).